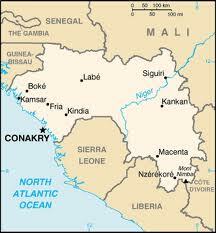 Last week was the second turn of elections in Guinea, and it only made sense to talk about Guinea. Well… Guinea is a country in West Africa whose capital is Conakry… it is a country rich in minerals such as bauxite, gold, diamonds, magnesium, etc. 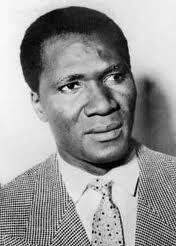 It is well-known for his first president Sekou Toure, who was the first to say ‘NO’ to France in 1958. In his own words, he said: “It is better to be poor and free, than to live in opulence and be a slave.” Guinea, thus became the only nation in French Africa to say ‘NO’ to the General de Gaulle and France. It was seen as a treason and an affront… and France never forgave Guinea, destroying files when leaving, withdrawing abruptly, destroying infrastructures, and breaking political and economic ties. I will not say much, but the video below says it all… Sekou Toure and the people of Guinea dared to say ‘NO’, and for that we, from French Africa, are forever thankful! Je lance un appel à tous les Guinéens d’aller sur Wikipedia corriger l’histoire de leur pays. La définition sur Wikipedia est très incomplète! Nul part est-il mentionné le fait que la Guinée était le seul pays en Afrique Francophone à dire ‘NON’ à la France; et à cause de cela, ils ont été persécutés! What documentary does the video clip come from? I just need a name, but a link to the fill documentary would be fantastic. Thank you.